If you have the plus or pro plan you can install the scheduling addon. With this addon you can set your message to appear at a specific time rather than the default option of manually disabling the message. The scheduling addon add a schedule tab to the message settings tab on the create new message page. 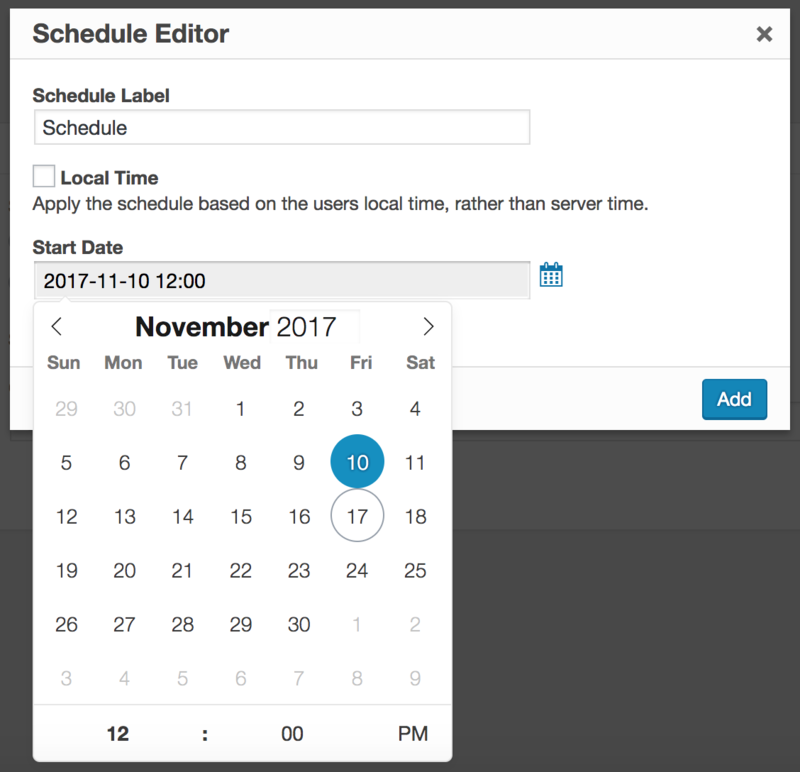 If you select "Only during specific times" it will show the scheduling interface. You can choose for a message to have a start date, end date or only be shown between two specific date/times.